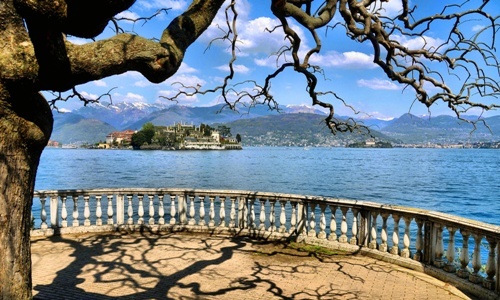 Although Stresa originally derives its fame from the Borromean Islands, the town has much more to offer in the way of attractions. Both in and around the town, visitors can discover equally fascinating—and often less crowded—places to visit. Nature lovers can wander through the zoological park at Villa Pallavicino and meet the many animals that live there, botanists will delight in the fine alpine plant specimens at the Alpinia gardens, and climbing enthusiasts will not want to miss the panoramic view of the lakes and Alps from the summit of Mount Mottarone. 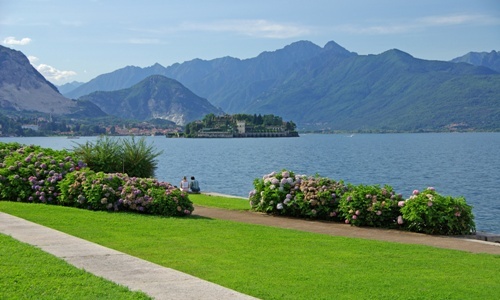 A gentle stroll along the waterfront overlooking the Borromean Islands is the perfect way to relax in the evenings. Located on the way into Stresa, Villa Pallavicino is the perfect example of a 19th-century Italian stately home. The villa was built in 1855 in a position that makes the most of the views of Lake Maggiore and the Borromean Islands. The Marquises of Pallavicino added rare trees and greenhouses full of exotic plants to the park, which was eventually turned into a zoo and botanical gardens and opened to the public in 1954. The gardens cover over 37 acres of land, undulating across the slopes of the hill and down to the shores of the lake. The park's many treasures include countless rare trees such as sequoias, larches, oaks, magnolias and chestnuts. There is also a botanical garden and several greenhouses, where hundreds of species of native and exotic flowers form a riot of colour. A trip down the 7 km network of paths criss-crossing the woods and glades will reveal the park's main attraction: its animals. Wallabies, zebras, monkeys, llamas, fallow deer and goats are just a few of the 40 species of mammals that roam through these wide natural spaces. Several aviaries are home to parrots, toucans, owls and various exotic birds, while a charming lake welcomes terrapins, swans, flamingos, ducks and beavers. Children can say hello to the friendlier animals and enjoy a visit to the playground, making Villa Pallavicino the ideal family day out. The magnificent display of flowers in the spring and summer make these the most rewarding times of year to visit the villa. The Alpinia botanical gardens (40,000 m²) sit high above Stresa on the slopes of Mount Mottarone, at an altitude of 800 m. This natural attraction boasts a vast and varied collection of almost 1000 species of plants, attracting around 30,000 visitors every year. The altitude and position of the gardens provide the perfect climate for cultivating alpine and subalpine species, as demonstrated by flourishing specimens from the Caucasus, Japan and China. 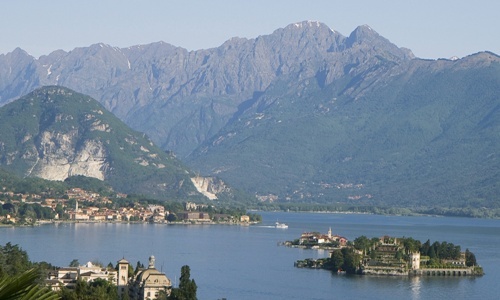 The Alpinia's wonderful location and panoramic balcony also offer visitors the chance to enjoy a stunning view of the Alps and the Swiss waters of Lake Maggiore. 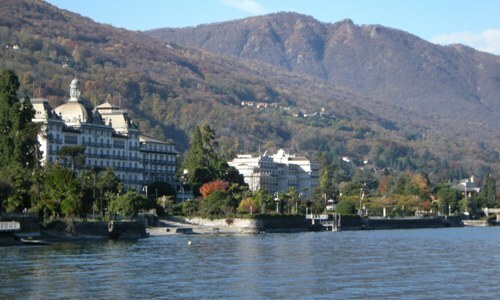 The gardens can be easily reached by alighting from the Stresa–Mottarone cable car halfway up the mountain. Mount Mottarone (1491 m) is an alpine peak that sits in the Stresa region between Lake Maggiore and Lake Orta. The mountain has been a popular tourist haunt since the beginning of the 20th century, when a cog railway was built that could ferry visitors to the summit in just over an hour. The railway was dismantled in the 1960s and replaced with a cable car that leaves from Piazzale Lido in Stresa. The journey lasts just 20 minutes and there is a brief stopover in Alpino to allow visitors to the botanical gardens to alight. From here, those of a more adventurous nature may want to make the second half of the journey on foot, which takes between one-and-a-half and two hours. For those wishing to travel by car, there is also a 22 km toll road linking Stresa with the summit of Mount Mottarone. The mountain is considered to be one of the most spectacular vantage points in the region. From the rounded summit, the view encompasses seven lakes and an immense ring of mountains dominated by the majestic Monte Rosa. Fans of hiking and mountain biking venture up the mountain to enjoy its scenic trails while, in winter, skiers take advantage of its snow-covered slopes.